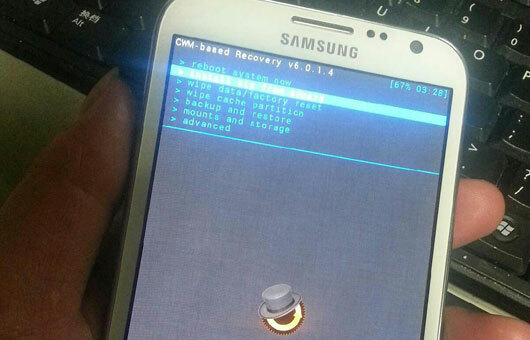 You can install the latest CWM version 6.0.3.0 custom recovery on your Galaxy S3 I9305 by following our instructions below. Custom recoveries are used to flash custom roms or mods, and they do no require rooting to be installed. Before proceeding with the installation you will have to read the following guidelines. You will use Odin to install CWM 6.0.3.0 on your device. Make sure you follow the instructions carefully as you risk bricking your device. You can only use this tutorial for Galaxy S3 I9305 versions. You proceed on your own risk and we cannot be held responsible for your actions. Make sure you have a full backup of your data. Also make sure you have the USB drivers installed for Galaxy S3 I9305. Make sure Kies isn’t running while using Odin. You can now proceed with installing CWM on your device. First you will need to download Odin from here. Extract the content of the archive in a folder. Now you have to download CWM 6.0.3.0 – I9305_ODIN_6.0.3.0-12042013.tar – from here. Turn off your device. Enter Download Mode by pressing Power + Home + Volume Down in the same time. Run Odin from the folder you extracted the content into. Connect your phone to the PC using the USB cable. You should wait until Odin recognized your device. Look for the yellow square in the upper left corner. Click on PDA, the button in the right lower corner, and select I9305_ODIN_6.0.3.0-12042013.tar. Click on Start and wait until Odin flashes CWM. That’s it, now you have CWM 6.0.3.0 installed on your Galaxy S3 I9305.